Antivirus programs are supposed to keep us safe from all that malware floating around online, but devious hackers have been known to utilize the software for malicious purposes. The latest example of this practice involves using the “restore from quarantine” feature and has been discovered in multiple AV solutions. Austria-based security auditor Florian Bogner discovered the vulnerability and dubbed it AVGater. 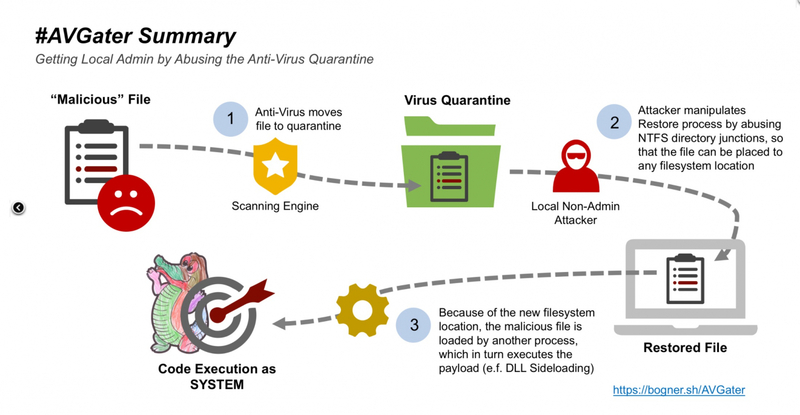 It essentially works by relocating malware from an AV quarantine folder to a sensitive location on a victim’s system. 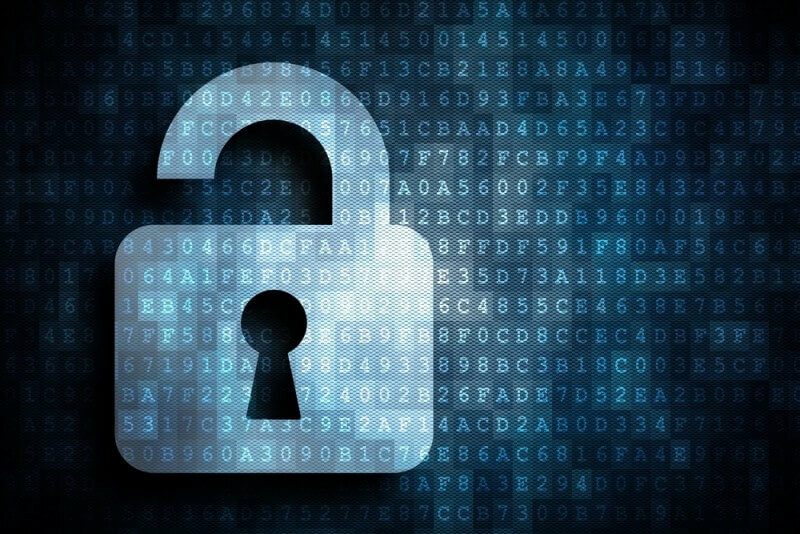 While penetration testing, Bognor infected clients’ PCs using a traditional phishing e-mail technique. The malware would then get quarantined by the AV program, and he would exploit vulnerabilities in the software that allowed unprivileged users to restore the quarantined files. Abusing a windows feature called NTFS file junction point allowed him to relay the file to a privileged directory of his choosing, such as a folder within C:\Program Files or C:\Windows. The method also abuses the Dynamic Link Library search order feature. The malware could then run with full privileges. The most significant limitation of AVGater is that it requires attackers to have physical access to a machine, but this could still be a big problem for shared computer environments. Bogner says the best way to prevent being affected by AVGater is to keep your antivirus programs up to date, which is always good advice. For enterprises users, he suggests removing the ability to restore files from quarantine. Hi Good stuff. Thank you! Creating junctions for \Users and \ProgramData pointing to another drive is not recommended as it breaks updates and Windows Store Apps. Creating junctions for \Users, \ProgramData, "\Program Files" or "\Program Files (x86)" pointing to other locations breaks installation resp. upgrade of Windows. Creating junctions for "\Program Files" or "\Program Files (x86)" pointing to another drive breaks Windows' Component Based Servicing which hardlinks files from its repository \Windows\SxS to their installation directory. And yes, Linux is bad, too... Unless you harden your kernel, and especially if you run PlayOnLinux or Wine(esp wine64 believe it or not), you are open to attack... Mix in the Broadcom vulns and the fact you can get a firmware customizer FOR broadcom firmware from the repo, you can find yourself a victim of network mirroring, I call it. Where you will boot to a copy of your file system via dbus... And also having your keychains put against a rainbow table care of AWS Redshift and a redsocks vulnerability. Things today take a mind to follow the seemingly insane and impossible... If you push through the 48 hour hump - because it takes about 60 straight hours to find the deep stuff... you will be rewarded with a collection of hashes that would make eSet hard with....kernels, and Envy. I honestly lost count of zerodays in Windows 10, especially with the release of PS to open source. And also gives the ability for more fluid integration of target with attacking machine, including loading of windows drivers onto Linux, namely wireless,IR, and BT. And also gives nation states a way to manipulate the windows kernel to flip those switches you took the time to turn off during install,back on without notice. I have literally sandboxed every file from the above mentioned software packages... The Linux processes I have done manually with Grant, DStep, Atom,UndoDB,Kcreate,DUMA,DBGinit,or on a chrooted (not just rooted) install of Linux on Android, as most attacks flow the flavors as long as you don't mix Fedora and Ubuntu commands, and in the same hand, Android Sandboxes can be used to fill the void of Malwr.com-esq sites for Linux testing. Neither the Windows NT startup process nor the Windows Vista startup process support Junction points, so it's impossible to redirect certain system folders. All that would need to happen is an in place install which is easy with the AMT vulnerability... Then junction points are restores. But with Windows 10, one could infect system files by traversing programdata and appdata dirs. Especially installs of Defender, which can span critical and non-critical folders... Right? And mixed with other vulnerabilities like old installs of IE, one could abuse Mount points outside of a sandbox, and run code. Correct? While this alone isn't a huge attack, it is a valuable tool to gain in-sight persistence. Our corporate anti-virus program has incorrectly identified programs as viruses (even some of the software that we write because of its behavior) and moved them to quarantine. If we were unable to restore programs from quarantine, we would never get any work done due to the need to call IT every time we encountered an incorrect identification. Virus programs are far from perfect in their identification of viruses. If they were, I could see that the suggestion of not allowing anyone to restore a program from quarantine would be a good idea. However, a global policy of not allowing restores from quarantine would be unworkable for us. I can see not allowing restores from quarantine on certain systems where people never write programs or some similar situation. AV makers and M$ should fix the vulnerability instead of passing it off to the incorrect assumption that everything an AV program identifies as a virus is a virus no matter what. Sometimes I think these "experts" should be required to pass stringent licensing exams to operate in a field such as this. IMO, the suggestion of not allowing restores from quarantine is simply lame. Your point is well taken. Today there is far too much "one size fits all" design and the needs of users has become moot (eg: win/10 foists a cellphone GUI onto a desktop user). The BIG issue imo is the difference between commercial vs personal usage. One example where the needs are still fundamental to the implementation is the Firewall - - where we have Domain vs Private vs Public networks. Also consider that periodic scanning for infections is lame in the first place. Sure it's a last resort, but a better choice would have been to expend time+energy in proactive tools to avoid the infections in the first place. Tools which scan email attachments are available and EFFECTIVE (sure wish I could scan the ^$&^ user to stop phishing exposures). We use to use Intrusion Detection Systems to find files modified outside scheduled maintenance or configuration changes - - but it takes a very strict discipline to know what is approved vs unapproved.